There are plenty of scriptures on physical health deliverance and healing. More direct scriptures focus on physical health healing than on social and material deliverance and healing. For example, fewer scriptures discuss directly on deliverance and healing from a marriage crisis or a financial crisis. Most of what we have in these areas is drawn from digging deep into the context and meaning of particular passages. This should be great news for those seeking deliverance and healing in physical health areas. The bible affirms that being in good health is important. Desiring to be healthy physically is not wrong. It makes it harder to effectively do God’s work in the harvest field if one’s body is not in a healthy state. Jesus called physical healing is “the children’s bread,” Matthew 15:26. 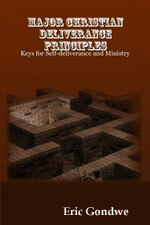 There are two main sections in this chapter: 1) natural physical health, and 2) supernatural physical health. Natural physical health is the realm of physical health that is in our hands. It is in the realm of our responsibility, not God’s. The natural health is in our hands while the supernatural provision is in God’s hands. Eating and drinking what’s good for the body serves two functions for our physical health: 1) it acts as a defense against avoidable illnesses, and 2) it is a natural cure against many diseases. Simple dietary measures can be natural cures against common illnesses. Nearly 2,500 years ago, Hippocrates, who is regarded as the founder of modern medicine, said, “Leave your drugs in the chemist’s pot if you can heal the patient with food.” But today dashing for medicine is the norm even over the slightest problem. Good food increases or maintains our immune system. Our immune system is our natural, God given, defense mechanism against illnesses. It’s often said that if the body were a nation, the immune system would be its army against foreign invasion. The foreign invaders are the millions of pathogens that threaten our bodies daily. Pathogens are disease-causing agents that include bacteria, fungi, parasites, protozoa, and viruses. That is why diseases that compromise the immune system or cause it to malfunction win their battle in attacking the body. Dr. Lorraine Day, a physician (medical doctor) and advocate for natural alternative therapies for diseases, says “The best and only way to avoid all infectious diseases is to have your body in a maximum healthy state with a properly functioning immune system. If the body's immune system is working properly, it is virtually impossible to contract any infectious disease!” (Lorraine Day, GoodNewsAboutGod.com). Does medicine boost the immune system? Dr. Linda Page says, “Drugs aren’t the answer for immune enhancement. The immune system is not responsive to drugs for healing. Even doctors admit that most drugs really just stabilize the body, or arrest a harmful organism, to allow the immune system to gather its forces and take over. “Each one of us has a unique immune response system. It would be almost impossible to form a drug for each person. Antibiotics used to fight infections actually depress the immune system when used (in the) long-term. Long courses of tetracycline and erythromycin are some of the most common and some of the worst for immune health. “But natural nutritive forces, like healing foods and herbal medicines can and do support the immune system. They enhance its activity, strengthen it, and provide an environment through cleansing and detoxification for it to work at its best. “I believe the only way to stay healthy during high risk times is to prepare your body for the defenses it’s going to need. Even if you’ve improved your diet, take another look at it because a super nutritious diet is imperative when you're under attack,” (Linda Page, HealthyHealing.com). This does not mean it’s not healthy or beneficial to use conventional medicine. It can be unhealthy when medicine is used on a prolonged basis or overused. Page says, “Three unwanted things often happen with prolonged drug use: 1) our bodies can build up a tolerance to the drug so that it requires more of it to get the same effect. 2) The drug slowly overwhelms immune response so the body becomes dependent upon it, using it as a crutch instead of doing its own work. “3) The drug misleads our defense system to the point that it doesn't know what to assault, and attacks everything in confusion. This type of over-reaction often happens during an allergy attack, where the immune system may respond to substances that are not really harmful. “Most of the time, if we use drugs wisely to stimulate rather than over kill, if we “get out of the way” by keeping our bodies clean and well nourished, the immune system will spend its energies rebuilding instead of fighting, and strengthen us instead of constantly gathering resources to conduct a “rear guard” defense. The very nature of immune strength means that it must be built from the inside out,” (Linda Page, HealthyHealing.com). What to include in your diet. Lot’s of home-cooked greens and some garlic. Some greens like fruits may be expensive for some. There are collard greens, lettuce, spinach and cabbage which are quite cheap. They are of great nutritional value as well as being helpful to the digestive system with their rich fiber levels. In his book, The China Study, T. Colin Campbell, Professor Emeritus of Nutritional Biochemistry at Cornell University says, “So, what is my prescription for good health? In short, it is about the multiple health benefits of consuming plant-based foods, and the largely unappreciated health dangers of consuming animal-based foods, including all types of meat, dairy and eggs,” (The China Study, p. 21). Greens are actually cheap in most third world countries where they can be grown on vast extra land. In Kenya lettuce is called “sukuma wiki.” In Swahili it literally means extend the week. It implies the greens help you afford to stay alive for another week. The vegetables are seen like manna the Israelites had in the wilderness –just enough to live by the day. Understanding the health benefits of sukuma wiki and its cheap green relatives could lead to giving it a better name. Sukuma wiki is great with any non-pork meats in moderation to keep you healthy for decades ahead. Meats other than pork are good if you can afford them but not in excess. Eliminating meats altogether is not wise. Two extremes, one of excess and another of abstinence are equally unhealthy. Unless occasional eggs are taken to supplement the for needed protein. Red meat and processed meats are foods worth taking some precaution. Note the word processed meats. Processed foods are foods that are processed or prepared by adding or mixing them with other foods and additives (including chemical additives). More will be covered on processed foods ahead in this chapter. The topic on health risks of red meat and processed meats has been around for decades, ever since cattle rearing introduced cheaper but unhealthy rearing methods. Food processing also introduced cheaper but unhealthy processing methods (including unhealthy chemical additives). The finding by the National Cancer Institute are therefore not new to many that are aware of such information. “People who eat a lot of red and processed meats have a higher risk of developing several types of cancer, including lung cancer and colorectal cancer, according to a new study from the National Cancer Institute. “People who ate the most red were 25 percent more likely to be diagnosed with bowel, liver, lung and esophageal cancer during the eight-year study, compared to those who consumed small amounts of this type of meat. “The researchers also found that people who ate the most processed meats, including bacon, ham and lunch meat, had a 20 percent higher risk of colorectal cancer and a 16 percent higher risk of lung cancer,” (Fox News Network, “Large Study Links Red, Processed Meat to Certain Cancers”). What type of water is most healthy? Plain boiled tap water is ok unless highly contaminated with impurities other than germs. The benefits of spring water over tap water are usually said to be minimal. However the debate on how much better spring water is over tap water can be controversial. Joseph Mercola says tap water should be avoided if possible because it contains chlorine and may contain fluoride in levels that in the long term can harm the body. He is against bottled water as well and advises water filters be used instead. Filters, particularly from good brands can be far better than bottled water. Bottled water can sometimes be the same as general tap water. In July 2007, Pepsi the maker of Aquafina bottled water admitted that its source of water is tap water. If you’ve drank Aquafina bottled water you’ll notice that it has an image of snow-capped mountains with a claim “Pure water, perfect taste.” In reality it is not mountain spring water but processed tap water. This only came to light many years later. Now they will reveal the source on the label. (see CNN news, July 27, 2007, Aquafina Labels to Spell Out Source - Tap Water). Bottled water may thus not be as good as it claims to be. It’s also said that the packaging of bottled water neutralizes its quality. The plastic containers usually on the shelf for months before being bought are said to leech harmful chemicals the longer the water stays in the container. I only consume bottled water when traveling. The rest of the time the water is filtered or drank straight from the tap. In the area of physical health God will enable you to know and avoid matters harmful to your body. In general it is advised to avoid eating pork. Pork mixes maybe, but pure pork is another story. Pork is not cheap meat. It is cheap poison meat. No wonder the Jews were forbidden from eating it. There are lots of medical principles in the bible that the medical field keeps drawing from. I am therefore cautioning on eating pork for health reasons not religious reasons. In the new covenant we can eat whatever food we like and still be under no condemnation. One can eat pork for breakfast, lunch, and dinner all year round and still be under no condemnation from God! However, “everything is permissible but not everything is beneficial,” 1 Corinthians 10:23. All foods are permissible but they are not all beneficial to our bodies. This is where exercising wisdom comes in. Jews do not eat pork to this day. Wise guys. Consuming too much meat and milk or milk products may also be unhealthy. Moderation is always the key. The quality of meat and milk has declined because of the way cattle are reared in developed nations like USA. A large proportion of cattle are given growth hormones, supplements (like protein), and drugs (medicine, particularly antibiotics) that are not natural to the cattle. They are also fed corn (maize) which too is not natural to the cows. Grass is their natural diet. But there are commercial advantages. They make the animals grow faster, bigger or produce more milk, thus yielding more profit with lower production costs than through the natural process. Cattle have not evolved to eating corn (maize), to growth hormones and other supplements. Their bodies have not grown to adapt or to become accustomed to a corn diet. Created by God to eat grass their bodies remain accustomed to a grass diet. A lot of health problems associated with corn fed cattle is said to be caused by the corn diet itself. It is common that cows are administered drugs to control this. The problems cattle undergo are then passed on to the next level of the food chain– us. We are the ones that get to eat their meat and drink their milk. Our bodies have to deal with the harmful aspects that the meat and milk consists of. “A growing body of research suggests that many of the health problems associated with eating beef are really problems with cornfed beef. In the same way ruminants have not evolved to eat grain, humans may not be well adapted to eating grain-fed animals. Yet the U.S.D.A.’s grading system continues to reward marbling -- that is, intermuscular fat -- and thus the feeding of corn to cows,” (New York Times newspaper, Power Steer, Michael Pollan). Not only is beef affected the milk too has its problems. Dr. Joseph Mercola, an osteopathic physician (medical doctor) and natural health professional, says at Mercola.com, that some cases of breast cancer, prostate cancer, thyroid cancer, colon cancer, and so on are directly linked to genetically engineered substances like the Recombinant Bovine Growth Hormone (rBGH) that is given to some cows to increase their milk production. The use of rBGH on cows is banned in Europe and Canada because of its proven effects on humans. The non technical term for food that has harmful extraneous substances in it is “contamination.” Food can be contaminated for deliberate reasons because certain chemicals and substances given to it increase its yield, or its taste, its shelf life or for whatever objective. It’s helpful to stay informed rather than being ignorant and then start paying later for our negligence. For our children it’s even more important to watch out for them. However, it’s not a call to be a health freak but a call to be aware of what’s going on and take worthwhile measures where necessary. The level of greed among some in the business world is so shocking that profit maximization is their sole motive without any consideration for what’s in the best interest of consumers. In the food industry the biggest problem has been adding substances that increase profits even when they are deemed harmful to consumers. For more info a book worth reading is Excitotoxins: The Taste that Kills, by Russell Blaylock, Ph.D, a certified neurosurgeon (website: RussellBlaylockMD.com). This is partly why there are increasing cases of obesity and “modern” ailments. It is not because people have started eating more or exercising less. This has a factor but not compared to what is being put into our food supply to increase production, reduce costs, increase taste, etc. The times when people could afford to eat a lot have been around in developed nations for centuries. Why the sudden explosion of obesity in the last twenty or so years? If you hear that too much food is the main factor for obesity and “modern” ailments consider it as a “pass on the blame,” game that the food industry loves to advocate for: sweeping their share of responsibility under the carpet. Detoxification seems to be such a big word. It is assumed to be some costly techniques the wealthy and the worldly famous use to cleanse their bodies. This is not the case. The body actually detoxifies or cleanses itself. Here is a good definition of detoxification by Wikipedia, an online encyclopedia: “Detox, short for detoxification, in general is the removal of toxic substances from the body. It is one of the major functions of the liver, lower gastrointestinal tract and kidneys, but can also be achieved artificially,” (Wikipedia, “Detoxification”). It’s important to add that for air it is the lungs that do most of the detoxification work. For example, carbon dioxide is removed from the blood and expelled through the lungs, then finally through our nostrils. The only problem about the body cleansing itself in our times is that the toxic substances have vastly increased with many that were never heard of. They have increased due to industrialization of our agriculture and food system. They have also increased due to our environmental, technological and lifestyle changes. The toxic substances have immensely increased to the extent that our bodies are not able to efficiently eliminate them. They enter our bodies faster than our body’s natural detoxification system can handle. Thus some of the toxic substances remain in the body. The ones that remain keep building up and accumulating as more keep being added unless appropriate action is taken. If left to continue accumulating these toxins reach a stage where they cause our body systems to malfunction. They become like poison to the body. The body malfunctioning is what we call illness or sickness. The problem is that illnesses caused by toxins are easily addressed with conventional medicine. The medicine does not work to eliminate the toxins. It only suppresses the reactions to the toxins. So the problem is never solved. It’s like cleaning one’s floor and sweeping the dirt under the carpet. The dirt has not been removed from the house. It has only been transferred somewhere else. The appropriate action that would be required to be taken is in the form of artificial detoxification. Artificial detoxification is particularly important in developed countries more than in developing countries. On why artificial detoxification or cleansing is necessary Janet Hull, Ph.D., says, “There are over 10,000 toxic chemicals in our food supply, and every day human beings are exposed to an inconceivable combination of these chemicals, many times causing illness and disease. It takes time, skill, dedication, and good detective work to determine which chemicals are causing what physical reactions and health symptoms. “Determining what toxins are in your body, i.e. those substances un-natural to the human body, is one of the best ways to determine what may be at the root of your health problems. Once those toxins are identified, the Detox Program has greater success removing them and restoring depleted essential nutrients.” (Janet Hull, “Dr. Hull’s Detoxification Kit,” DetoxProgram.net). Artificial detoxification or cleansing complements the body’s own cleansing work. Artificial detox has become an essential technique due to various changes in our times described above. The problem comes on which detox method to adopt. There are many artificial detox methods out there and some are scams, using seemingly genuine but fraudulent methods. The scams are not harmful but can waste your time and money. Their detoxification supplies don’t work to detox or cleanse one’s body. They are merely dummies or placebos (fake medication with no active ingredients). It’s recommended that you do your own research, and thoroughly acquaint yourself with this growing field of artificial detoxification. With its growth it’s becoming a big business and inviting scammers. There are plenty of books and internet sources on artificial detox. The key words to use in typing into search engines like Google to search for relevant content on detox are “detoxification,” “cleansing” and all the detoxification words below. Some detox products can now be found in retail stores. Detoxification used to be the domain of natural health practitioners. Detox products in retail stores include detox drinks, detox teas, body washes, detox pills, detox patches, powders and so on. It’s worth researching on the usefulness of any of them before buying any. Once you have sufficient information you’ll even be able to make your own detox program to suit your personal level of health needs. The fact is that there is no “one size fits all” program out there. Each of us is unique in our body makeup and also we face different exposure levels. Our unique inner make up or body chemistry (biochemical makeup) is what explains why we respond differently to different drugs (medicine). What types of toxins are excreted from the body? How does one know how much toxins are in the body? What objective methods of measuring toxicity levels currently exist out there? How does one know how much toxins have been removed after a period of fasting or whatever detoxification method? Carbohydrates or carbs in short, are one of the three main classes of food. The three main classes of all the food we eat are as follows: 1) carbohydrates, 2) fats, and 3) protein. Sugars are part of the “family” of carbohydrates. The carbohydrate family includes fiber, starches, sugar (sucrose), lactose, maltose, glucose, fructose, and so on. In this section the term sugars will be used to refer to all processed sweet foods and processed carbohydrate rich foods. InteliHealth says, “Foods that are high in complex carbohydrates, such as grains and vegetables, usually supply a good-health bonus of vitamins, minerals and fiber. Meanwhile, simple carbohydrates from candy, cake, table sugar, syrups, sweetened cereals and other sources of concentrated sugar contribute ‘empty calories’ that provide energy, but no nutrients,” (Aetna InteliHealth Inc., Nutrition, “Carbohydrates,” InteliHealth.com). Reducing or eliminating consumption of unhealthy carbohydrates and sugars (sweet foods) can be a major method for self detoxification. This is particularly so for people that have a natural craving for carbohydrate types of processed foods. Many carbohydrate types of processed foods contain what is known as refined sugar. This is mostly sweet type of sugar that we normally associate with table sugar. It is the most basic form of simple carbohydrates which are nutritionally depleted. “When it comes to overall health, all sugars are created equal. Honey, fructose, sucrose, corn syrup, maple syrup, and molasses are no better (or worse) for you than refined white sugar. Although they may be absorbed differently, all sugars eventually break down in the body and end up as glucose,” (Aetna InteliHealth Inc., Nutrition, “Carbohydrates,” InteliHealth.com). I’d be the biggest hypocrite on living healthy if I’d not given up on sweet stuff. I’ve had a natural craving for all sweet “foods” until one bright day on October 7, 2007. I made a resolution to quit eating sweet processed foods and did just that. To quit from being a sugarholic (addiction to sweet foods) was so easy it was hard to believe how easily the habit ended. When you reach your thirties it’s assumed old habits die hard (i.e. it’s hard to overcome bad habits kept for many years). Not quite with God’s grace. It can take one conviction and God supplies the grace to fulfill the request. Sometimes it takes longer but this one was an instant one. I now take green tea with no sugar, no sugar in cereal, and fruits in place of bread or cakes. I also take unflavored or plain oatmeal in place of the flavored one. Flavored oatmeal has many cheap artificial additives to give it flavor, color and so on. In USA it mostly comes in a little box with the oatmeal packs in it. Unflavored or plain oatmeal comes in a container. If you read the ingredients on the container it says 100% oats or 100% rolled oats. There is no long list of unpronounceable ingredients on unflavored oatmeal. Unflavored oatmeal tastes awful but it does not have the additives that flavored oatmeal has. Oatmeal is also a healthier cereal than most standard cereals. This is because most standard cereals (grains) undergo some form of processing which alters their natural state to some level. Generally the more processing a cereal undergoes the more it loses its natural form. For example flaked cereals, “are made directly from whole grain kernels or parts of kernels of corn, wheat, or rice and are processed in such a way as to obtain particles, called flaking grits, that form one flake each. The production of flaked cereals involves preprocessing, mixing, cooking, delumping, drying, cooling and tempering, flaking, toasting, and packaging,” (Environmental Protection Agency (EPA) in USA, AP 42 (Air Pollutant Emission Factors), Volume I, Fifth Edition, Chapter 9 “Food and Agricultural Industries,” page 9.9.2-5). Furthermore there are cheap artificial additives added to most cereal to give it a tasteful flavor, color, etc. This is done during the mixing stage. If you read food labels and check the ingredients on each cereal package you’ll be able to estimate the amount artificial additives it has. Thus it’s healthier to opt for cereal that has undergone less processing and has little or no artificial additives. How does one know the level of processing a cereal has undergone? What About Sugar Substitutes Called Artificial Sweeteners? Are they Healthy? Artificial sweeteners are actually a major component of food additives in many processed foods. Artificial sweeteners are also known as sugar-free substances. The question is, are they healthy? Books that answer this question include, Excitotoxins: The Taste that Kills, by Russell Blaylock, Ph.D, and Sweet Poison: How the World's Most Popular Artificial Sweetener Is Killing Us - My Story, by Janet Hull, Ph.D. The response from many authors with no special interest connections, is that most artificial sweeteners are not healthy. Mark D. Gold from the Aspartame (NutraSweet) Toxicity Information Center has a health guide table on both natural and artificial sweeteners. The table below is from Aspartame (NutraSweet) Toxicity Information Center. Note: Many diabetics can use some amount of healthy caloric sweeteners such as evaporated cane juice. Check with your healthcare practitioner for more information. In his letter to the FDA (Food and Drug Administration), Mark D. Gold outlines a long list of effects of aspartame including its effects to the eyes, ears, brain, psychological areas, lungs, gastrointestinal system, skin and allergies, hair, endocrine and metabolic system, menstrual changes, and so on. Janet Hull says, “My first recommendation is NOT to use any chemical sweeteners at all, but merely use natural sugars or learn to adjust to the natural sweetness of raw foods themselves. The artificial sweetener that is said to be the most harmful and unhealthy is aspartame. Independent research data is said to show that aspartame is a carcinogen (a cancer causing substance). Excessive consumption of foods with aspartame is said to increase risks of cancer among many people. On the Italian Ramazinni research Hull says, “The Ramazinni aspartame study was so damning in its proof of aspartame dangers, it was debunked (or attempted debunking, shall I say) by the organizations profiting the most from aspartame. So a second cancer study was repeated by the Ramazzini Cancer Institute to prove beyond any further doubt that aspartame, indeed, causes leukemia and lymphoma. The results of the second study were the same as the first study - well, actually, they showed more damaging results... Read for yourself,” (Janet Hull, “Does Aspartame Really Cause Cancer?” JanetHull.com). Bible Probe, a Christisn ministry, makes an interesting observation saying that, “Did you know that in the 1970’s it was Donald Rumsfeld, CEO of Searle who was influential in getting Aspartame approved by the FDA?” (Bible Probe, “Diet Soda -- True story. Don’t blame God for this! He didn’t make it,” BibleProbe.com). Just for some who may have no idea about what Searle is and who Donald Rumsfeld is: Searle is a corporation that is the original patent owner of aspartame. Donald Rumsfeld before being CEO of Searle was in the Nixon and Ford administration. With his strong government ties he is therefore said to have influenced the FDA to reverse its decision of banning the use of aspartame in processed food. What is the acceptable daily intake (ADI) of aspartame in order to avoid its harmful health effects? Hull says, “In the USA, the acceptable daily intake for aspartame is 50 mg/kg of body weight. In the EU, it is 40 mg/kg of body weight. What does all this ppm and mg/kg really mean for humans? “Well, typically people try to estimate aspartame consumption in terms of cans of diet soda, but aspartame is found in over 6,000 other products, including 500 pharmaceuticals. Following the average modern diet, it is easy for a person to exceed the ADI, especially children who have a lower body weight. “Consider the following average daily consumption of diet products with aspartame: 2 cans of diet soda (and that’s a very low estimate), 1 light yogurt, 1 diet dessert, 4 packets of Equal® (sweetener) in coffee or tea throughout the day, 10 candies or pieces of chewing gum. The aspartame content in the above totals 910 mg, exceeding the ADI,” (Janet Hull, “Does Aspartame Really Cause Cancer?” JanetHull.com). I believe extreme minimization or total avoidance of aspartame and other artificial sweetener laden foods is better than trying to calculate the acceptable daily intake (ADI). Hull also maintains this view as you’ve read in earlier paragraphs. What if the ADI is not accurate? Additionally different people react differently to toxic foods. Some have stronger defense mechanisms (immune system); others have a body makeup that in spite of a strong immune system causes them to adversely react to small doses of aspartame or other artificial sweeteners. Others may only experience the more severe effects in the long run. And so on. None of us really know how we’d individually respond to such toxic substances in the long-run. The results are the only proof. It’s worth avoiding them by all means possible. We eat to live, not the other way round. And eating to live ought to focus on the value of what we eat. If any food only serves the “feel good” purposes it’s not worth keeping. It could be harming us in the long run. It is quite unfortunate that many people eat for taste more than for nutrition, even as grown ups. How does one know if a processed food has unhealthy artificial sweeteners? By reading the labels and ingredients on the package. Labels saying “sugar-free” while tasting sweet have artificial sweeteners. The list of types of foods with artificial sweeteners is endless as Jane Hull notes that there are over 6,000 products, including 500 pharmaceuticals contain aspartame alone. The most notable processed foods that use artificial sweeteners include chewing gum, mints, candy (chocolate bars and sweets), sodas (soft drinks), popcorn, powdered drinks, protein products (bars, liquids and protein powders), weight loss products. It’s worth reading the ingredients on a package. Some of these processed foods do not contain artificial sweeteners. The most notable pharmaceutical products that use artificial sweeteners are cough syrup, vitamin supplements, toothpaste, and other drugs (medicine). It’s worth reading the ingredients on a package or asking your primary health care provider. How can food intolerance and food allergies be treated or dealt with? Is taking medication and pills to fight the food intolerance healthy? There are advantages and disadvantages of being in the sun. Better to start with the disadvantages since they are the most documented. The disadvantages occur due to overexposure. This is not a one-time overexposure. It is overexposure over a year or more, spending more time than is healthy. How much constitutes sun overexposure? According to dermatologists this depends on the skin type one has. This is the rate of melanin production in a person’s epidermis (outer layer of skin). Melanin is a skin pigment or a substance that gives color to skin tissue. The skin color we see in people basically shows the amount of melanin they each have, with darkest skin indicating a high level of melanin. It is this melanin which acts as a sunscreen in protecting the skin from ultraviolet (UV) radiation that the sun emits (produces). The American Academy of Dermatology (AAD) has established six different classifications of skin types. (Dermatology is a medical specialty concerned with treating diseases and disorders of the skin, hair, and nails.) If race was defined by dermatologists we’d probably have these six categories rather than the political ones we now have that have evolved over time. Each skin type represents a level of tolerance or sensitivity to ultraviolet (UV) radiation from the sun. Skin type 1 has the least tolerance while skin type 6 has the most. The easiest way to determine your skin type is by your natural skin color and hair color. The table below gives the six categories by the American Academy of Dermatology (AAD). Skin Type 1: skin is very pale and naturally freckled, with red or pale blonde hair and green or blue eyes. This skin type burns easily in the sun, and becomes bright red rather than a bronzed brown. If you have Type 1 skin, then you are at significant risk of not only burning badly, but of developing the symptoms of premature ageing and eventually skin cancer. This skin type is often seen in people of Celtic origin, found in Scotland and Ireland. Type 1 skin will burn within ten minutes of exposure to the sun. Skin Type 2 skin is also pale, but has dark blonde to light brown hair and blue or hazel eyes. This skin type also burns easily but could become brown if sun exposure is introduced gradually. However, it is not advisable for Type 2 skin to undergo the amount of sun exposure required to induce a sun ‘tan’. We associate this skin type with people of Germanic and Scandinavian origin but it is also found in the UK. Skin Type 3 skin is fairly pale, with light to dark brown hair and blue, green or brown eyes. This skin type sometimes burns, but otherwise will eventually go brown. Type 3 is the most common skin type found in races native to the British Isles and Northern Europe. Skin Type 4: skin is well adapted to the sun and rarely burns. Sometimes described as Olive, it is pale brown thanks to its naturally high levels of protective melanin. People of Mediterranean, Middle Eastern and Central European origin tend to be Type 4. Skin Type 5: skin has a great deal of natural sun protection. This skin type is naturally light brown, and hair is very dark brown or black, with brown eyes. People of Asian or Far Eastern origin tend to have this type of skin. Skin Type 6: skin is the best protected of all. It is typically mid to dark brown, with black hair and brown eyes. It is well adapted to the sun and requires little topical protection. People of African, African-Caribbean or native Australian origin tend to be Type 6. Burning time is the amount of time it takes for one’s skin to receive a sunburn. A sunburn is an inflammation of the skin caused by overexposure to UV radiation from the sun. The table above gives a burning time estimate for some skin types. Because this is so important, particularly for susceptible skin types, the disadvantages of the sun end up outweighing the advantages once a person proceeds to repeated overexposure. Overexposure is not worth it in the long run. The American Academy of Dermatology (AAD) and many related institutions worldwide caution against it. “There is no safe way to tan. A suntan is the skin’s response to an injury. Tanning occurs when the sun’s ultraviolet rays penetrate the skin’s inner layer, causing the skin to produce more melanin as a response to the injury. Chronic exposure to the sun results in a change in the skin’s texture causing wrinkling and age spots… Every time you tan, you accumulate damage to the skin. This damage, in addition to accelerating the aging process, also increases your risk for all types of skin cancer, including melanoma,” (AAD, Facts About Sunscreens). Tanning therefore comes from overexposure to the sun or "sun" (tanning) lamps. As AAD says it’s an indication of skin damage or injury from the UV radiation. This is more so when it comes after sunburn. That is why many say tan but don’t burn. And if you’re in skin type 1 that cannot tan then avoid the attempt to tan altogether. Cover your body while in the sun. Tanning particularly that done through sunburn rather than gradually is not a healthy outcome – at least when overexposure is done over prolonged repeated periods. The skin darkens, tans or produces more melanin (color) in an attempt to protect the skin from the sun’s UV rays. I have already covered on the disadvantages that come through overexposure. How overexposure can be avoided for each skin type has also been addressed. It is now fitting to proceed to all the health benefits that can be derived from the sun when exposed to it within limits. “The light is pleasant, and it is good for the eyes to see the sun,” Ecclesiastes 11:7. “And God said, “Let there be light,” and there was light. God saw that the light was good..” Genesis 1:3-4. “But for you who revere my name, the sun of righteousness will rise with healing in its wings. And you will go out and leap like calves released from the stall,” Malachi 4:2. “The warming infrared rays of the sun, or heat from various sources, is useful in the treatment of neuralgia, neuritis, arthritis, and sinusitis. Heat is usually good in the treatment of any pain. Warmth also helps bring healthful, natural body oils to the surface of the skin, keeping it smooth and protected. “Almost all of the food we eat depends upon sunlight to grow. In fact, the energy our bodies receive from the food we eat is, in a sense, solar energy that the plant has stored in the form of fats, carbohydrates, and proteins. “The ultraviolet rays are antiseptic and are capable of killing bacteria, viruses, fungi, yeasts, molds, and mites in air and water, and on surfaces. Even reflected light from north windows can destroy bacteria in the dust on window sills and floors. Since most window glass filters about 95 per cent of the ultraviolet rays, it would be well if they could be opened and the curtains pulled back for a period of time each day. Ultraviolet light also kills germs on our skin. This makes sunbathing a useful treatment for many skin diseases, such as diaper rash, athlete’s foot, psoriasis, acne, boils, or impetigo. “Sunlight also toughens and thickens the skin, making it less susceptible to injury and infection. Regular, controlled, moderate exposure to sunlight, instead of damaging the skin and aging it, actually protects the skin by building up a natural resistance to the harmful effects of ultraviolet light, while giving it a nice velvety texture. “Ultraviolet light converts cholesterol in the skin to vitamin D. This vitamin is essential for the proper handling of calcium in the body and thus in the prevention of rickets and adult osteomalacia. Vitamin D is also added to some of the food we eat. It might be possible to get too much of the vitamin this way; but not when we get it from sunlight, since the body makes only what we need. Getting out in the sun, therefore, is a good way to lower cholesterol levels in our bodies. If we expose six square inches of our skin to direct sunlight for one hour per day, we will obtain our minimum daily requirement for vitamin D.
“Sunlight helps to regulate almost all our bodily processes. Starting from the top (our minds) and working down, sunlight has been shown to increase our sense of well-being and to improve sleep. Ultraviolet light coming into our eyes stimulates the pineal gland, which helps to regulate our activity cycles. It has bean said, "Dark nights and bright days will help keep the hormones in the body functioning properly." In one experiment hyperactivity in school children was decreased when the classroom's fluorescent lights were changed to full spectrum lighting. Thyroid function may improve. Hormone imbalances tend to level out. “Sunlight stimulates the production of more red blood cells, increasing the oxygen content of the blood, and thus increasing muscular endurance. It also stimulates production of more white blood cells and enhances oxygen utilization, which helps the body maintain its defense against disease. While certain skin cancers are associated with exposure to sunlight, the incidence of some of the more serious internal cancers seems to decrease. “Appetite may be improved, along with our assimilation, elimination, and metabolic processes. Poisonous chemicals and heavy metals are removed from the bloodstream faster, while levels of healthy trace minerals are actually increased in the blood. Muscular strength has been increased, even in those unable to exercise. Sunlight has even been found helpful in the treatment of stomach ulcers. (Project Restore, Inc. (Jesus and Lamb drawing), Sunlight). Other natural medical approaches apart from good nutrition as a means for increasing or maintaining our immune system are practices popularly known as alternative medicine or natural cures. These include herbs, exercise, vitamins & minerals, pure water, sleep, rest, fasting, sunlight, and stress reduction products & programs (such as music, bible study, vacationing, watching cartoons (for some), comedies (for others), etc). Some not included on the above list are associated with Eastern religions and thus are non-Christian religious practices. These include yoga, acupuncture and transcendental meditation. Some of us from Africa, South America and the Caribbean may assume herbs are not Christian. It depends which herbs one is talking about. In some parts of these regions, particularly in rural areas, there are herbal doctors known as witch doctors. As the name implies, witch doctors include witchcraft practices that embrace non-biblical interactions with the spirit realm. They prescribe clean herbs but they also practice non-Christian spiritual beliefs. My other book on occult spells has more info about the world of the occult. In South Africa, Congo (DRC), parts of Cuba, Malawi, Zambia, and Zimbabwe a witch doctor is largely known as nganga, Mganga in Swahili, sangoma in Zulu, and boko in Haitian Creole. It’s important to note that most of these regions are extremely Christianized. A few choose to integrate their Christian beliefs with traditional practices. In South Africa, some sangomas have progressed and ended black magic associations. These prescribe herbs without any association to occult practices. For such their herbal prescriptions have no occult connection. The question comes over those that include non-biblical practices in their profession. It taints their clean side. One may not be able to distinguish what’s been associated with the evil spirit realm and what’s not. Unless he/she is well informed. Any search for herbs ought to be from those that do not have beads, images, animals’ bones, weird outfit and all the superstitious items common among witch doctors. They ought to be professional herbalists not spiritualists or witch doctors. Developing countries have a longer way to go in separating the two professions - herbalists versus spiritualists (witch doctors). They’re ahead in natural, non-genetically altered foods that are essential for our immune system. Herbs that are worth using are those produced by those who do not associate their products with the evil spirit realm. By the way, some of modern medicine does consist of herbs. They are just herbs that have successfully been patented. Those in business know why patents have brought modern medicine to where it is today - big business with profit maximization sometimes at consumers’ expense. Some may ask where these clean herbs can be found. A good book to read is The Christian's Guide to Natural Products & Remedies: 1100 Herbs, Vitamins, Supplements and More! by Frank Minirth et al. Many other books and resources on herbs out there could be helpful sources - including library and Internet resources. Another point to note is that some advocates for alternative medicine or natural cures have been harassed indirectly or directly. Some have been labeled as quacks. This is an old reference to an untrained person who pretends to be a physician (medical doctor) and dispenses medical advice and treatment. Because they do not use modern medical treatment as their primary approach they automatically are labeled as quacks. For instance, Dr. Lorraine Day, who is actually a trained and licensed physician (medical doctor (MD)) has received her fair share of accusations of practicing quackery after abandoning emphasis on modern medical treatment. The main reason for such assaults is preservation of big business in maintaining its hand on the billions it makes from its health products. Natural cures, if they gained prominence would take over their dominance. They’re to be conquered from being a business threat. The secular business world is predatory and can be ruthless. Some Christians may have problems with naturopathic practitioners that embrace Eastern religious practices like yoga and transcendental meditation. How about the modern medical physicians who embrace yoga or whatever non-Christian beliefs and still come to lay their hands on your body? Does that contaminate you? No. If you were to ask some how they maintain their health they may quickly tell you “secrets” they discovered in yoga or some other non-Christian beliefs. Many in the Western world know what I’m talking about - that our physicians are not necessarily Christian. The drug manufacturers as well are not Christian institutions. Some have been linked to research on biochemical warfare, the New Age human weapons of warfare. Buying medicine from companies with such ties is like funding their research on evil agendas. Does this make you evil or contaminate you if you buy clean medicine made by these companies? Absolutely no. Why then are we quick to “stone” people who practice alternative medicine? Some have gone out to allege that they’re demon possessed. Bird brain size thinking. Do you know there are many New Age, Free Masonry, and other occult secret society members in the health care world of modern medicine? Does it lead to impartation of demons by buying medication from a manufacturer with many top level occult members or receiving services from a physician who happens to be an occult member? Of course, no. The key therefore is you not being involved in the practice of the non-Christian beliefs. If a physician practicing modern medicine shares his/her non-Christian health “secrets” you’re free to differ with his/her approach. If an alternative medicine physician such as a naturopathic physician recommends a non-Christian approach you’re free to state your beliefs and seek only what’s in line with your faith. This is the key, not what they believe in or what they do in their private lives. Or maybe modern medical practices are seen as safer? They’re expected to be safer since quantitative analysis is their foundation before being marketed. But once profit maximization became the primary goal among many giants in the pharmaceutical industry quantitative analysis took the back seat. Quantitative data is now prone to bias and manipulation. For example, among psychiatric drugs a news article in USA Today said study results of drugs depend on who is paying for the studies. Studies funded by the company that makes the actual drug being studied produced favorable results about the drug 78% of the time. Independent studies produced favorable results about the drug 48% of the time. Studies funded by a competitor to the company that makes the drug being studied produced favorable results about the drug 28% of the time (USA Today, May 25, 2006, p. A1). Why such a wide discrepancy? Aren’t such studies quantitative analyses and thus free from bias? You don’t have to be a researcher to answer such easy questions. Could such discrepancies be part of the explanation why some drugs get good test results only to end up being so harmful and later to be removed from the market? What about the independent safety monitoring agencies? Now on our physicians: Are our physicians who practice modern medicine far more reliable than physicians in alternative medicine? One may say the answer is both yes and no. It is yes when diagnosing or recognizing health problems. The knowledge and tools that have been developed over centuries in the modern medical field are largely better in diagnosing or recognizing health problems. They are better at finding what the problem is in one’s body. That could explain why many alternative medical physicians use many of the tools in the modern medical field. However, when it comes to treating or curing the health problems the answer is no. A BusinessWeek article based on Dr. David Eddy’s findings says, “Even today, with a high-tech health-care system that costs the nation (USA) $2 trillion a year, there is still little or no evidence that many widely used treatments and procedures actually work better than various cheaper alternatives,” (BusinessWeek, May 29, 2006, “Medical Guesswork,” p. 73). This is partly because physicians may be inclined to treat health problems in relation to their area of medical specialization. This is more pronounced among serious illnesses. “Go to a surgeon, and he’ll probably recommend surgery. Go to a radiologist, and the chances are high of getting radiation instead,” (ibid., p. 76). On this matter, Dr. David E. Wennberg, says “Doctors often assume that they know what a patient wants, leading them to recommend the treatment they know best,” (ibid., p. 76). What about the placebo effect: that the cure is all in the mind? In summary, all these health principles have been shared to expand your understanding and empower you on natural physical health principles. This chapter on deliverance and healing in physical health areas attempts to provide helpful info with a balance on medical practices that are workable and applicable to Christianity. Modern medical procedures have not been shared extensively because the information is right at our doorsteps. There are even plenty of “personal MD software” one can buy. I have one myself, a “Home Medical Advisor,” and it’s been helpful. Health care institutions (hospitals, primary care units, clinics, etc. ), the media and the academia “worship” modern medicine to the extent of preaching it as our ultimate answer to good health. This chapter was intended to balance this view with reality. As an informed Christian, with the mind of Christ (active not sleeping), you’re at liberty to make your own health care decisions based on whatever you believe is workable for you. You’re encouraged to do your part in maintaining your health and arming yourself with appropriate information. You owe it to yourself, to your family, and more importantly to God. The gift of life is not something to take for granted. It is worth doing your part in arming yourself with the appropriate information in all areas of concern. “My people are destroyed from lack of knowledge,” Hosea 4:6. May the Lord bless you and grant you all the wisdom for you and those you’re entrusted with. The next subsection covers on supernatural physical health. This is the realm of physical health that is in God’s hands. The natural health is in our hands while the supernatural provision is in his hands. Supernatural physical health, faith healing or divine healing is physical health that is enhanced by our walk with God. It is not a license to neglect taking care of ourselves naturally. Rather it makes up for what we’re unable to acquire naturally. Here are two key scriptures some fellow believers erroneously use to imply we’ve a license to neglect taking care of ourselves naturally. “These signs will accompany those who believe: In my name they will drive out demons; they will speak in new tongues; they will pick up snakes with their hands; and when they drink deadly poison, it will not hurt them at all,” Mark 16:17-18 (emphasis added). “I have given you authority to trample on snakes and scorpions and to overcome all the power of the enemy; nothing will harm you,” Luke 10:19. Even Jesus knew that there’s a context were it’s God’s responsibility to protect us and the context were God has given us the responsibility to protect ourselves. The context were it’s God’s responsibility to protect us is when in our natural ability and circumstances we do not have the capacity to protect ourselves. Jesus answered, “It says: ‘Do not put the Lord your God to the test,’” Luke 4:1-13. Jesus knew that God would protect him if someone tried to throw him off a mountain. God would continue protecting him from malicious and Satan influenced people until his time was up. Jesus knew that there‘s a context were God works to protect him throughout his life. This is how he was able to respond to Satan that it was not fitting to put God to the test. It was the wrong context for God to protect him. Putting God to the test is a context where God has given us the responsibility to protect ourselves. God will not be persuaded to take responsibility of protecting us when it is in our natural ability and circumstances to protect ourselves. This also applies to our physical health. There’s a context where it’s God’s responsibility and a context where it’s ours. The context where it’s God’s responsibility he can even protect us from people who without our knowledge add deadly poison to our food with the intent to harm us. In some cases he chooses the deadly poison to take its natural course of harming us. In other cases it becomes a Daniel experience where no harm touches us. In both cases it’s God’s responsibility to have the final say. However when it’s in the realm of our responsibility we literally have the final say. Neglecting to do our part is therefore not wise. There is God’s principle of sowing and reaping at work. “A man reaps whatever he sows,” Galatians 6: 7. It is true that the Lord is also able to graciously rescue us from health problems that we may have brought on ourselves through ignorance or carelessness. The wiser option is to opt not to later seek God to rescue us from health problems that we had brought on ourselves. If he doesn’t rescue us from such it means he has allowed destruction to take its full natural course. That is why he said, “My people are destroyed from lack of knowledge,” Hosea 4:6. However it’s worth seeking his supernatural physical health provision all the time. It is his will that we’re healthy enough to fulfill our callings and responsibilities here on earth, until our time is over. Physical healing is “the children’s bread,” Matthew 15:26. We keep asking for our bread that only he can provide. We all need the supernatural physical health to supplement our limitedness - some more than others and at different stages in our lives. It is perfectly fitting to seek God’s supernatural deliverance and healing from health problems through his supernatural intervention. While using modern medicine is great sometimes it may not be affordable or it may bring other complications. Plus modern medicine usually comes with its side effects, leave alone the fact that our genetic code widely varies between individuals such that for some certain medicines may just be more poison to their bodies. Thus our best medicine is seeking God’s miraculous or supernatural deliverance and healing in major areas. For major illnesses modern or alternative medical procedures can be followed on a secondary level or in combination with seeking God’s supernatural intervention.